Discussion in 'Online Seller/Buyer/Breeder Reviews' started by climbingregalis, Aug 3, 2008. Joe is a great person to sell to! He paid very quickly, and had great communication with me throughout the transaction. A great guy overall! I also just competed a trade with Joe and it went fantastic.I recieved 4 beautiful baby crested geckos and they were eating right out of the box.He also threw in an egg whitch is doing great should be hatching any day now great job Joe I will be dealing with you in the future thanks bro!!! Thumbs up all the way!! Did a trade with Joe and received 2 cresties and a egg. Packing was top notch. Egg should be hatching any day too. If you're thinking about doing a deal with Joe...don't think about it...just do it! Just checked on the egg this morning. It's no longer an egg, it's a baby crested! I told you guys that Joe does a good job! I bought a couple eggs from Joe a few weeks back. Great communication. Awesome little cresties! I'll buy from Joe again. Joe is a great guy and easy to do business with him. I highly recommend him for sure. I just received one of Joe's shipped eggs. He was fast and open with communication the whole time, and shipped right on time. The little one is unpacked and set-up now, and I will post again if/when he hatches. I'd definitely recommend Joe as a great seller to buy from with no hesitation, and anybody who has more specific questions can feel free to PM me. I received the B.klassi from Joe today . Joe is easy to do deals with and Tarantulas at a good price. I would highly recommend doing business with him. I just received my crested gecko egg in the mail today. Due to a postal mishap (and no fault of Joe's), the egg was stuck in the mail for 3 days over the holiday! BUT, because of Joe's great packaging, the egg came through like a champ. He had great communication (20+ messages back and forth as we tried to solve the egg crisis) and did everything he could to help on his end. Top notch guy. I'd recommend him to anyone. Bought two baby crested geckos from him, and they arrived well packed and warm. Great guy to do business with, and as mentioned above, hes even great to talk to. I just got done working a trade out with Joe this guy is hands down the best guy to deal with on the boards I have dealt with. He was up front with everything he was sending and even went the extra mile. When I got the package it was packed so well I think a bomb could have went off and they would have been alive. The taranulas were way bigger and really healthy the geckos we alive and great looking also. Thanks so much joe I will be looking at everything this guy post. 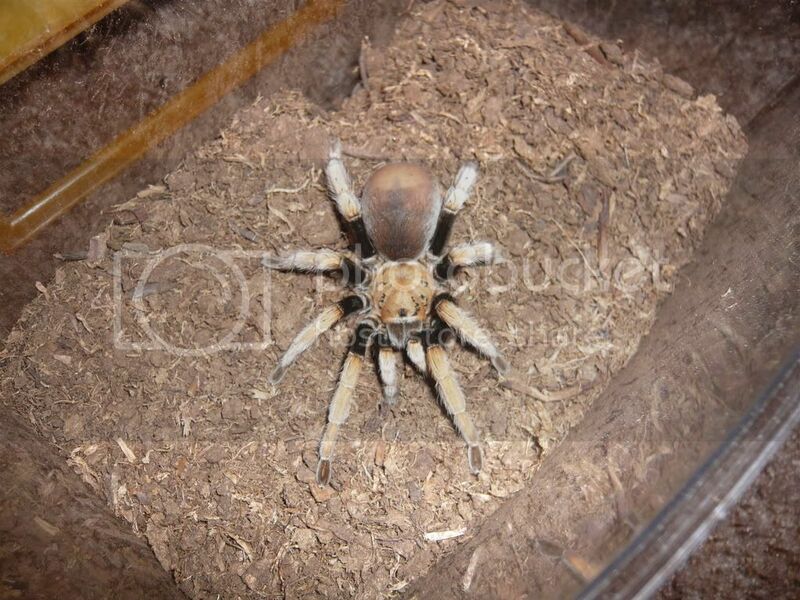 I recently recieved my 4+" male aphonopelma bicoloratum from my good buddy joe. I purchased this male awhile ago from joe. He held my spider for about a month and a half to two months due to weather. He also gave me a 1" freebie OBT!!! The Spider is in perfect condition. Heres my Female that's gonna be bred with the male that I got from Joe. I just got my T lot from Joe and all arrive well and looking good. Lets see how lucky I get on getting a few females out of the lot. Joe is great to buy from and I would recomend him to anyone. I just completed a flawless transaction with Joe. Communication was efficient, the packing job superb and the spider was exactly as advertised. 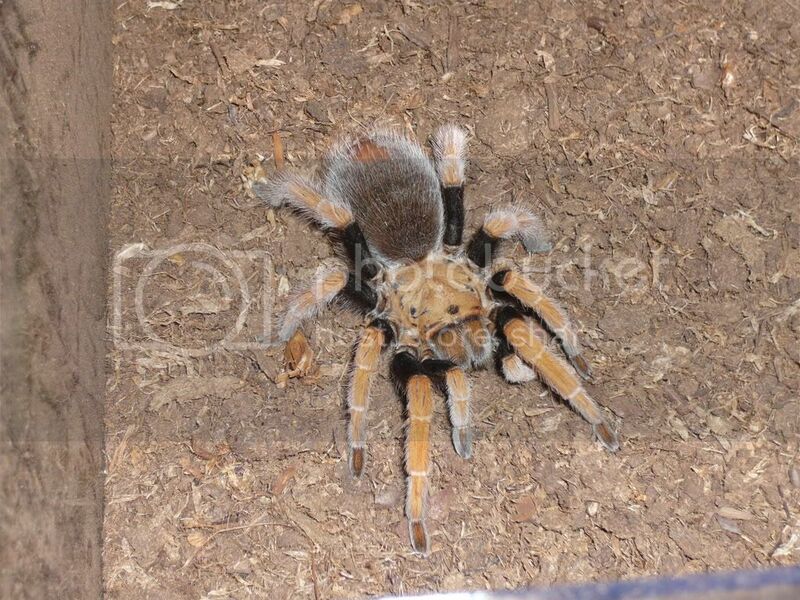 In fact, it was the most vibrantly colored X. immanis I've ever seen. I would not hesitate to do more business with Joe. Highly recommended. Just did a trade with Joe. He sent his end of the deal first so I could use the packaging, and even threw in a heat pack for me! Excellent communication! Wow I just recieved my B.klassi and man was it packed great almost had to use a jackhammer to get the box open!!! Thank you very mutch bro your end of the trade goes out on monday! Did another deal with Joe and the female he sent came in perfect and ate a nice roach that night. Thanks again and I look forward to more business with you.